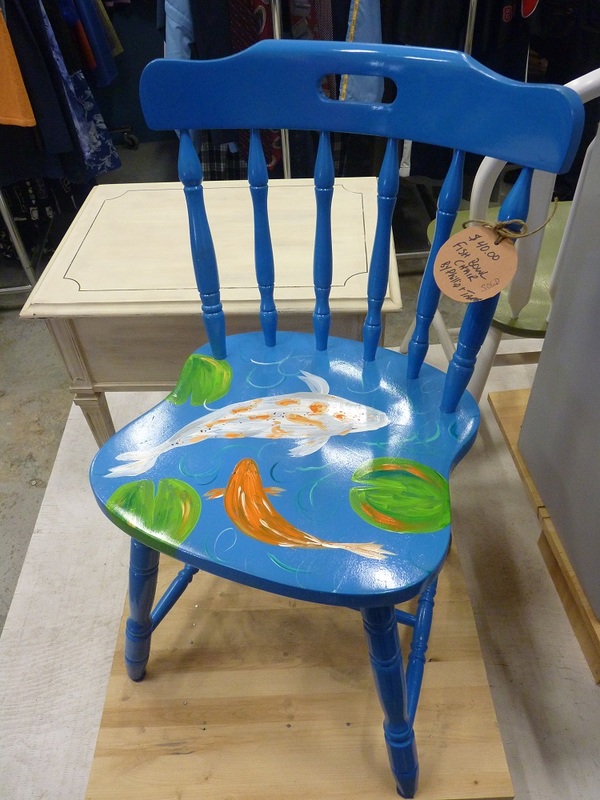 There was a crowd of browsers and buyers at The Painted Chair, the home of creatively upcycled furniture on 857 Sawmill Rd., Oliver on Saturday February 15th. Reopening their workshop and store into a larger space in the same building was a cause for celebration for staff and volunteers. The expansion allows for a bigger showroom, and more space for clients of Hovanes Community Services Ltd to hone their craft. One client, Bobby, carefully described the process required to strip, sand, stain, varnish, and reupholster her current project; an unusual, low chair with U-shaped arm-rests: When it’s finished, “It will be the perfect chair to curl up in,” she said. 1. 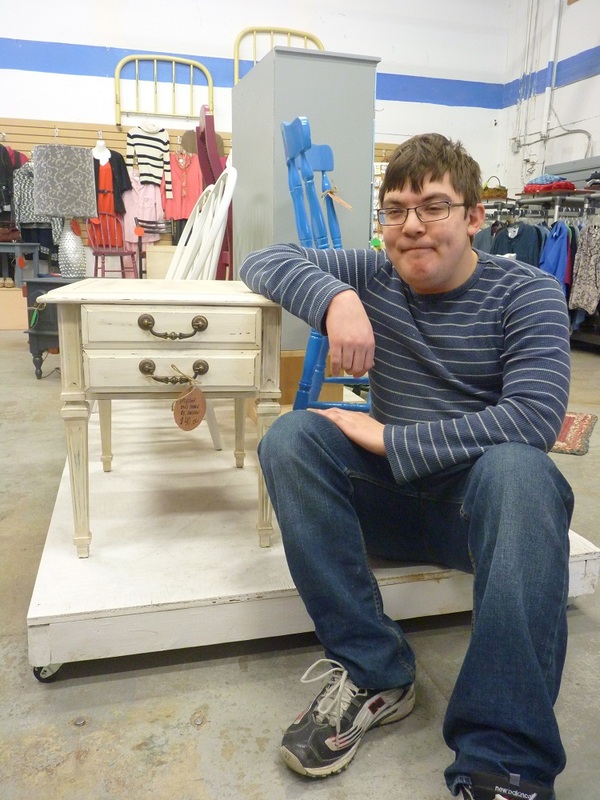 Jordan Szalay is the proud artist behind this cleverly “antiqued” nightstand. 2. Fish and Lilly Pad Chair, upcycled by Phillip and Tara. 4. A chair that will help you wake up with your morning coffee. And only $45! There were a lot of smiling faces and very happy customers purchasing vibrantly coloured furnishings to brighten up their homes. Take home a conversation piece!